All students start in Spontaneity, our first course. This is important as it lays the ground work for all of the courses and establishes our approach to improvisational work. Individuals who have trained at one of our ITI sister theatre companies or have a degree in acting please contact us so we can discuss what course is most suitable for you to begin with. 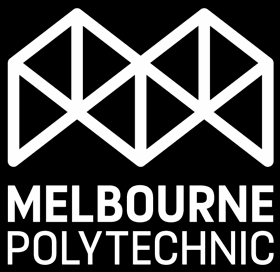 I’m a returning Impro Melbourne student; where do I start? Welcome back! If less than one year has passed you can continue where you left off. If you’ve been away for more than a year you will need to retake Spontaneity. Is there an age limit to attend a class? Classes are for ages 18 and over. Please see our Theatresports™ Schools Challenge and Impro in Schools programs for anyone under 18. Course fees are due in full prior to the course commencement date. Non-payment of monies owing may result in cancellation of enrolment, other penalties, or recovery of the outstanding amount through debt collection. Payment plans can be arranged in exceptional cases, at the discretion of the General Manager. Are there scholareships or work study positions? At present Impro Melbourne does not offer scholarships or work study positions. However, it takes a lot of work to run a theatre company and occassionally we offer a discounted tuition for Volunteers helping with specific tasks such as marketing, office work or design. Commitment to a course is important for your own benefit in learning and to the class dynamic. Students who miss two or more classes will be required to retake the course before progressing. Students must advise of an upcoming absence by contacting Impro Melbourne’s Workshop co-ordinator. Students retaking a level due to three or more absences will not qualify for the repeat discount tuition. If I take classes, can I be an Impro Melbourne cast member? Although many of our resident company actors are graduates of our courses, completion of any program does not guarantee employment with Impro Melbourne. It takes a great deal of training and experience to become a member of our Ensemble.